Shannons in Nechells has an outside area. The pub has free WiFi, it has a dart board. Shannons has a pool table. The pub shows football on TV, it has terrestrial TV. New Emerald Social Club in Small Heath has a dart board. 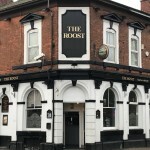 The Pre and Post game local for BCFC fans. Cricketers Arms in Nechells shows football on TV. The pub has Sky Sports, it has terrestrial TV. St Andrews Tavern in Small Heath has a car park. The pub has an outside area, it has a smoking area. St Andrews Tavern has a dart board. The pub has a pool table, it has a big screen. St Andrews Tavern shows football on TV. The pub has Sky Sports, it has terrestrial TV. 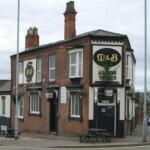 Albion Vaults in Nechells has an outside area. Cross Guns in Washwood Heath has an outside area.